Find Dangerous Characters. Now you can find files that have invisible and potentially dangerous Unicode characters in the name. 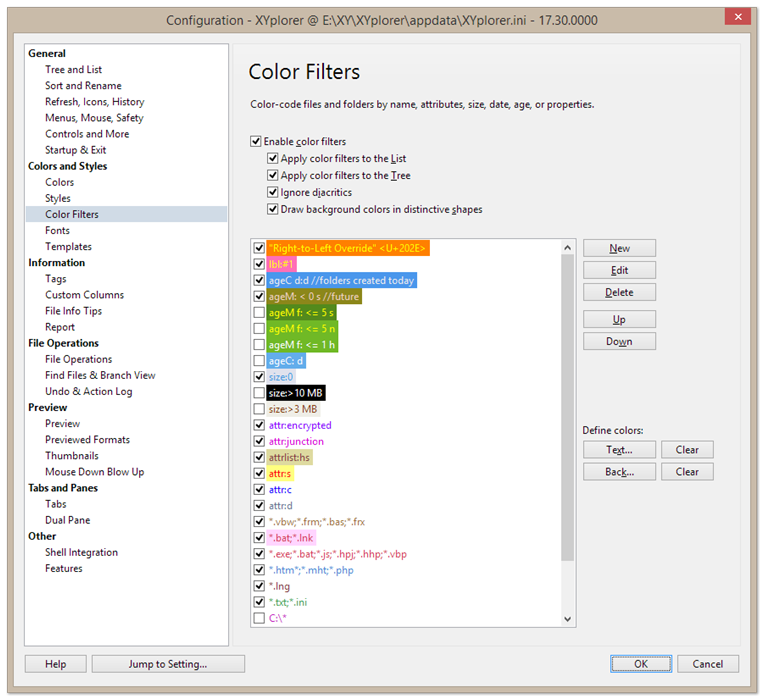 You now can as well color-code such files. This is achieved by the new variable <U+[codepoint]> which allows you to inject any existing Unicode character into the search pattern by its codepoint, i.e. its numeric value. 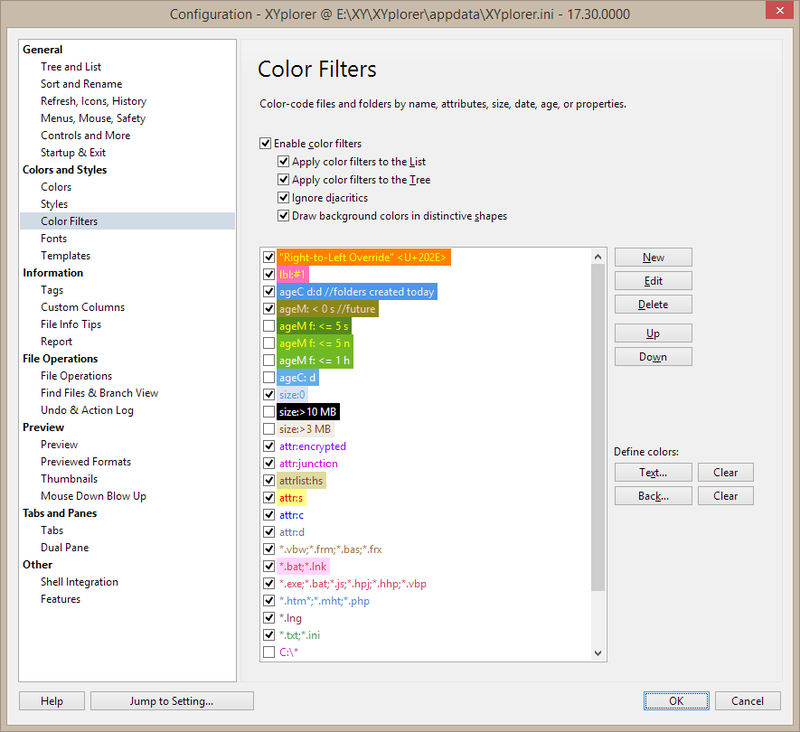 Defining a Color Filter for files containing U+202E.